Why would I need self storage in Timonium, MD? There are a variety of reasons why you might need self-storage in Timonium, MD. How much is a storage unit in Timonium, MD? The cheapest storage unit in Timonium, MD is $68.00 per month. What size storage units do you have available in Timonium, MD? In Timonium, MD we have sizes that range from 5'x5' to 10'x15' to suit your storage needs. How much is it for a 5'x5' storage unit in Timonium, MD? The cheapest 5'x5' storage unit in Timonium, MD is $68.00 per month. Located just on the border of Baltimore, Timonium is a relatively small community covering just over 5 square miles. The city's name was inspired by the incomplete Egyptian palace constructed by Roman leader Mark Antony, located on the island of Antirhodos. 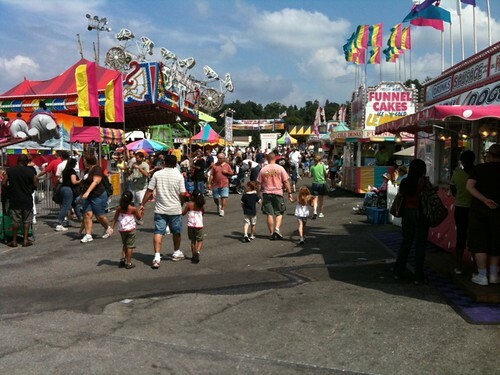 Every Labor Day weekend, Timonium is the location of the famous Maryland State Fair. Timonium's history dates back to the beginnings of Baltimore. Before the arrival of settlers, it was primarily forests and a hunting ground for local Native American tribes. Throughout Baltimore's rapid increase in population, Timonium remained much more sparsely populated. However, this has always been mostly attributed to the city's small size, taking up only 5 square miles. Population density is high in comparison to Baltimore, meaning that Timonium nurtured an impressive population considering its limited geographical footprint. Although Timonium is a small community, it has plenty to offer its residents. Light rail lines give Timonium easy access to nearby entertainment venues and an ideal way to commute in less than half an hour. Within 30 minutes, you can find yourself in one of the biggest cities in the country, Baltimore, which offers a great mix of restaurants, bars, festivals and sporting events. Timonium hosts the annual Maryland State Fair as well as several major horse races throughout the year. Climate is also another perk in Timonium, reaching near-perfect temperatures throughout the spring, summer and fall. The Timonium Business Park provides jobs in the service and logistics industries. Other employment sectors include food service, health care, manufacturing, communications and defense. Timonium is part of the Baltimore County School District, which oversees the public elementary, middle and high schools in the area. The greater Baltimore area (including Timonium) is home to a number of private schools, providing a range of educational options for you and your child. Utilities: Major electricity providers in the Timonium area include Baltimore Gas and Electric and PEPCO. Baltimore County facilitates water and sewer services. Garbage and Recycling: The county oversees Timonium's waste disposal system, which includes regular collection of trash and recyclables. Transportation: The Maryland Transit Administration maintains two stops in Timonium, and you can also utilize two separate bus routes. Timonium is one of the higher-priced real estate markets in the greater Baltimore area. The median home price is well above the national average, continuing to climb in recent years as demand for homes in the area increases. Rental properties vary in size, style and price, with many including private amenities like swimming pools and private gyms. Our lowest priced units in Timonium, MD average $68.00 per month. 34 people have reserved units in Timonium, MD in the past 30 days. There is 1 location within Timonium, MD's city limits. There is 1 location in Timonium, MD that offers AC and Heating features.